Home/Blog/News/Bringing the Dogs to Spruce Pine, NC! The Mutt-i-grees team will co-present with Principal Michael Tountasakis of Harris Middle School in Spruce Pine, NC at the 2019 Connecting Communities of Education Stakeholders conference in Greensboro, NC. During the session titled, “Why your next great hire might be a real dog”, the team will discuss how the Mutt-i-grees Curriculum connected the school with their local shelter where experts vetted and identified a suitable dog to be adopted into the school. We also go into detail on the ways the incorporation of the school dog is woven into the use of the curriculum and how the two used in conjunction with one another to take it beyond a feel-good moment and instill valuable humane education lessons into the students. 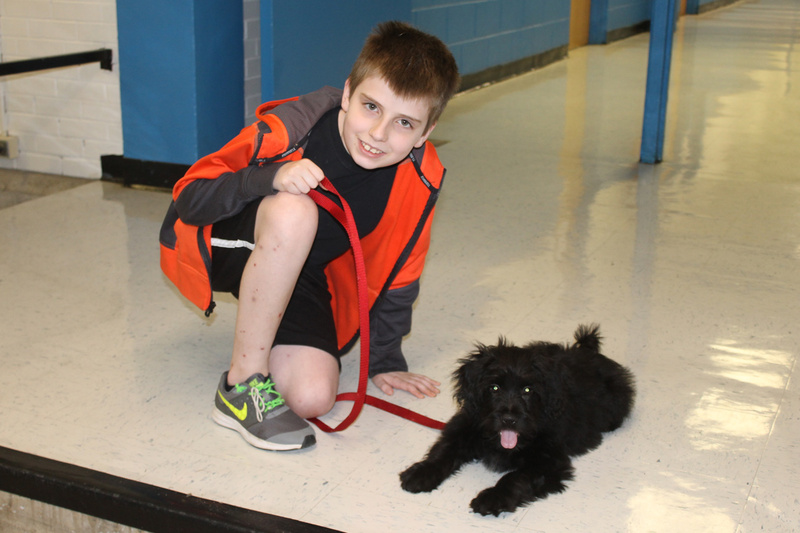 The following day, Mutt-i-grees Student Ambassador Ian Burleson will lead his classmates in prepping a rescue transport from Mitchel County Rescue to North Shore Animal League America where animals will be humanely relocated to find loving homes.